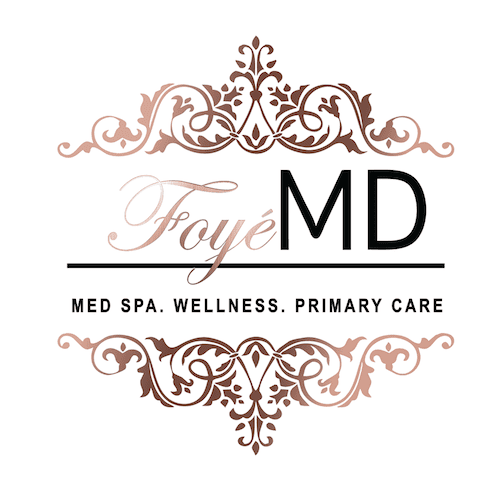 At Foyé MD and Spa Primary Care, we take your health seriously and work hard to prevent and manage illnesses and chronic conditions. Call our Houston clinic to book an appointment or contact us online. As your primary care provider, we aim to safeguard your health and prevent disease. It is our job to manage your health and screen for a variety of conditions. Depending on your medical history, family history, and lifestyle we can evaluate your risk factors for such complications as high blood pressure, diabetes or obesity. Disease Prevention: Routine screenings and wellness exams allow us to track your health and treat budding problems early. Regular health consultations help us identify the behaviors that contribute to illnesses and disease and make the appropriate recommendations for change. Chronic Disease Management: With the right healthcare management, it is possible to live a quality life with a chronic disease. Patients with high blood pressure or type 2 diabetes have one qualified provider who tracks and manages their condition to prevent complications. General Family Medical Care: Having consistent medical care to manage your family’s health not only improves the quality of care, but it also reduces the likelihood of problems, such as diagnostic errors. Your Foyé MD Primary Care Physician in Houston is trained to detect potential issues early and provide referrals to the right specialists, if needed, to ensure you get the best possible treatment. New patients will have a health consultation and a wellness exam. During this visit you will be asked for a detailed health history and any necessary diagnostic tests may be performed. Be sure to schedule an appointment with your provider whenever you are sick, experience an injury or for a regular checkup. Insurance covers most lab work.